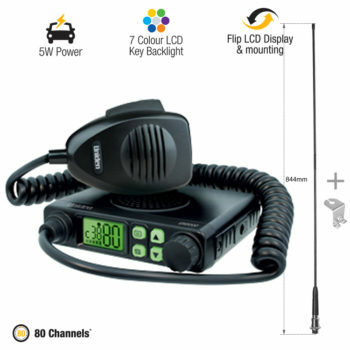 Uniden UH8060S UHF 80-channel CB radio is extremely compact, yet so versatile and full of features.Easy to mount under the dash, the Uniden 8060S is ideal for installation in newer model cars & four wheel drives. 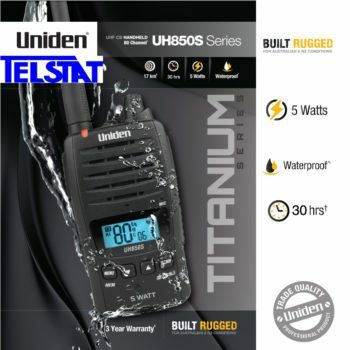 The UH8060S is built for rugged Australian and New Zealand conditions, making it ideal for the truck drivers, 4WD Drivers and Caravan Drivers. 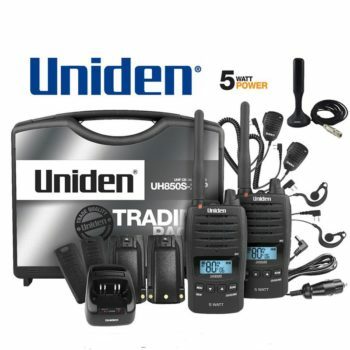 Uniden’s reliability and experience in UHF makes this unit ideal for the professional who needs to keep in touch with the outside world. 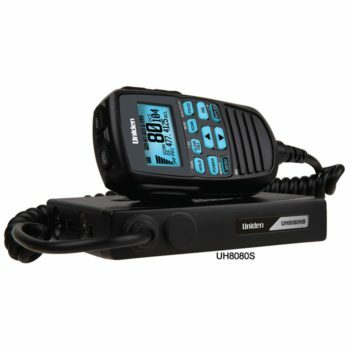 The UH8060S offers the finest components, engineering and styling, just what you would expect from Uniden. 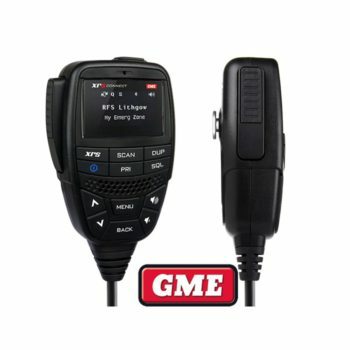 The UH8060S base unit is so compact it can be mounted almost anywhere, including the glove box, under the seat, or in the dashboard. 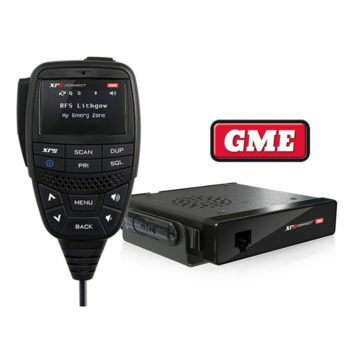 With 5 Watt Output Power and 38 x CTCSS and 104 x DCS Codes to choose from, this unit is the perfect travel companion to enable you to stay in touch. The Uniden AT-880 is a highly flexible and heavy duty whip suitable for 4WD. 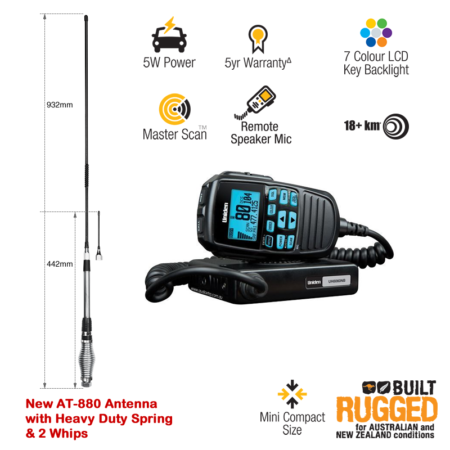 Engineered and designed for all round use, flat terrain, town and country, the AT880 TWIN is a rugged and durable antenna to suit your driving needs. 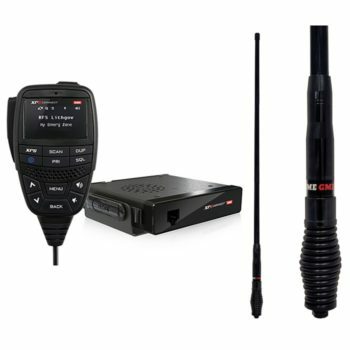 Ground independent with an included 14cm 3.0 dBi Gain whip, provides excellent performance and perfect flexibility to tune channels, ideal for your vehicle. A high quality elevated feed and fibreglass whip with black heat shrink, the AT880 TWIN is a solid choice for heavy usage, engineered for the toughest conditions and off road environments.